This year, an earlier start time will be allowed for music to be played at the Thaipusam procession. There is also an increase in the number of static points where music can be played. Devotees are also allowed to play a wider range of musical instruments, according to a report by Todayonline. The authorities have relaxed their rules governing the annual procession following feedback from the Hindu community. Law and Home Affairs Minister K Shanmugam had mentioned during a post-Thaipusam dialogue last year that he will review restrictions on live music along the procession. These include allowing registered volunteer musicians to play, and allowing more live music points for future Thaipusam processions. The Singapore Police Force (SPF) told Todayonline that this year, music will be allowed from 7.30am to 10.30pm during Thaipusam, starting an hour earlier from the previous years. According to Thaipusam.sg, there will be 35 static music points along the festival route on January 20 and 21— an increase from 23 last year. There will also be two live music points for the urumi melam at Short Street and Bras Basah Green; and another for the nadaswaram and thavil instruments at Hastings Road. The ganjira and one of either a thavil, dhol or khol, are the additional instruments allowed this year. Singapore banned the playing of musical instruments during Thaipusam back in 1973 due to fights between rival groups. The restrictions were relaxed in late-2015, allowing for live music at the festival the following year, with three live music points along the procession route. Mr Amar Ziaquat, who started the Speak Up For Thaipusam Facebook page in 2015, saod the easing of restrictions was a “good move” by the authorities and the Hindu Endowmment Board (HEB). “After many years the board and government gave leeway to the Hindu community, and all of us are happy with the move and will also look forward to this year’s Thaipusam event,” said he told Todayonline. In 2015, Mr Amar started the Facebook page to “voice the opinions of all Hindus” regarding the festival. He had also held several discussions with the HEB about it. The managing director of AZDS Consultancy & Debt Enforcement Agency will be helping out with crowd control this year. He explained that music is “very important” to the devotees, in particular the kavadi bearers who have to bear the weight of huge wood and steel structures pierced into their skin. The religious hymns and chantings, accompanied by the instruments, help to calm their minds throughout the journey. Mr Amar added that he hoped the restrictions can be further eased in the future, Todayonline report. 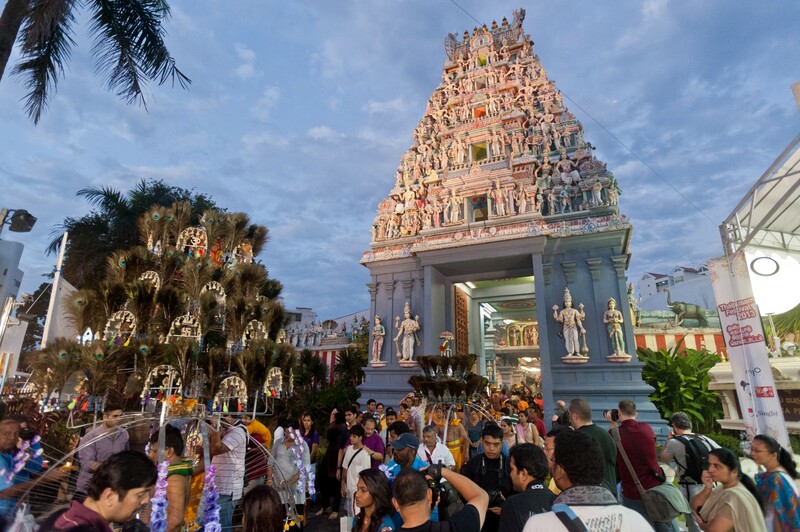 This will help to "bring in more devotees, as well as other Singaporeans and tourists to watch the religious event”.